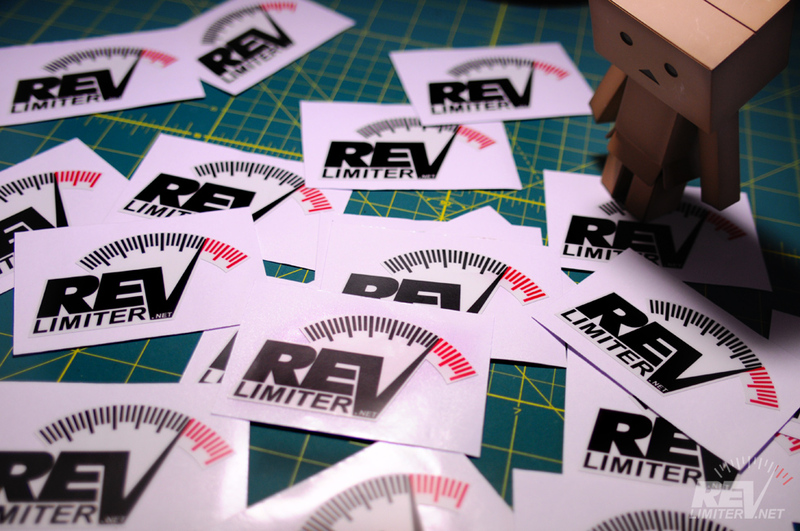 I checked the mail this afternoon and was rewarded with a ton of new revlimiter.net stickers! My buddy Randy (owner of MazdaRoadster.net) hooked me up with a batch of these bad boys. 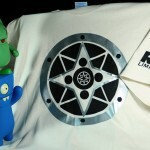 He had his sticker shop make a run along with another batch of MR.net stickers. Ahem. Yeah, I’m way way way pleased about this. I love my stickers. Thanks, Randy!!! So… want some stickers? I think I’ll do this first batch via donation. It doesn’t have to be more than postage. I’m just pleased to be able to offer stickers to those who might want them. 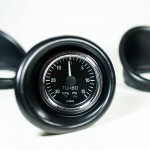 They’ll also be included in every gauge/vent ring/HVAC/window switch order. 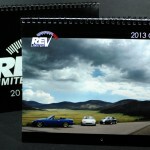 Use my contact form above or get hold of me on one of the Miata forums. 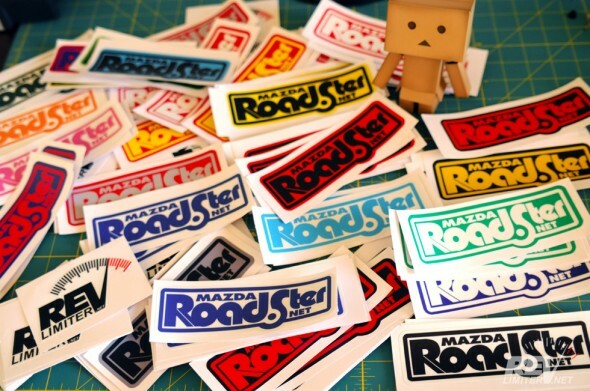 I’ll get you stickered up. 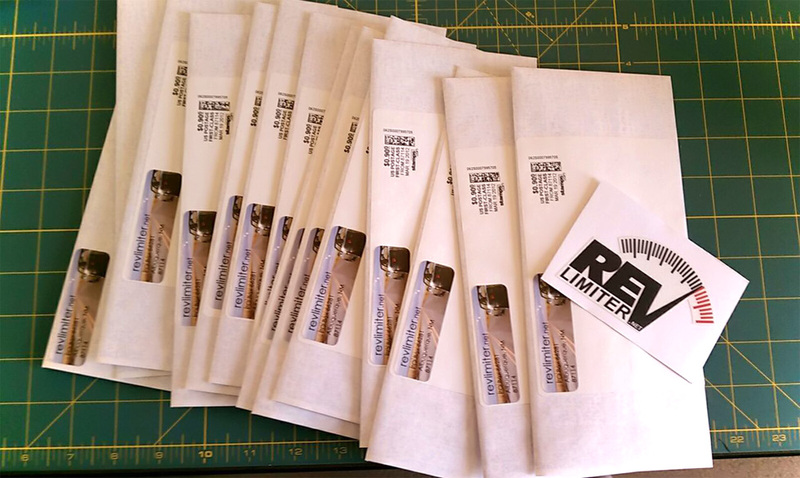 I mailed out 42 stickers in this first batch. Thanks to everyone for the extremely generous donations! I was really hoping to have postage paid and you all did way more than that. Looks like I need to order more. That pic with all these MR stickers is nive. I want one. Of each color. 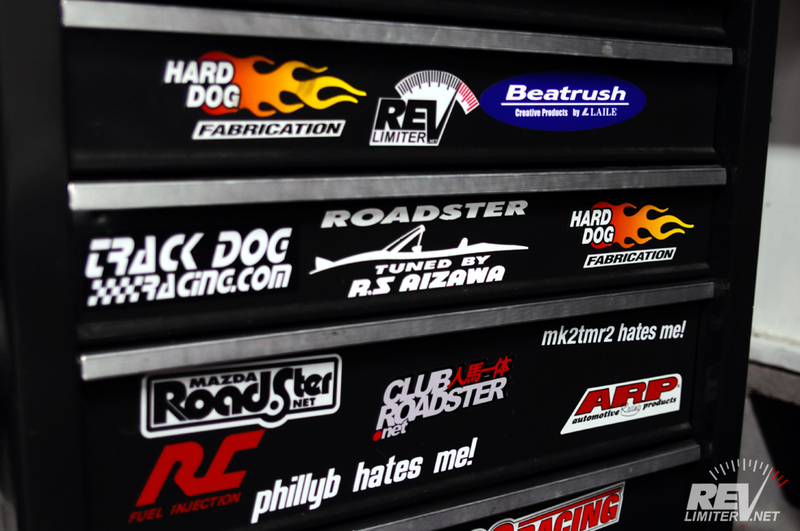 Seems that your cooling panel is getting to small for sticker madness by the way ! hahaha! What in the world would you do with so many? 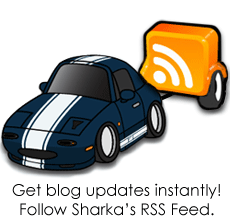 I put a white one on my toolbox, a blue one on Sharka, and a pink one on my laptop. That’s it so far.